Whoohoo!!! Another maxi ultime record challenge! 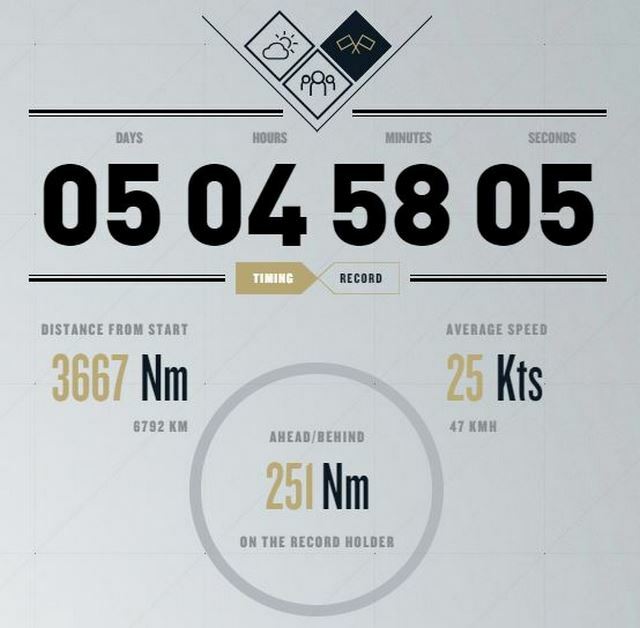 record and has maintained a 31 knot average! Quite the doghouse they have on this edition. Smoking along! How many days do you suppose they can knock off the record? "We have arrived at the Canaries and will be able to see Tenerife in a few minutes! Everything is fine onboard. We are going to go through the middle of the islands as there is not much pressure offshore, so it will be a lot of maneuvers, but everything is OK. 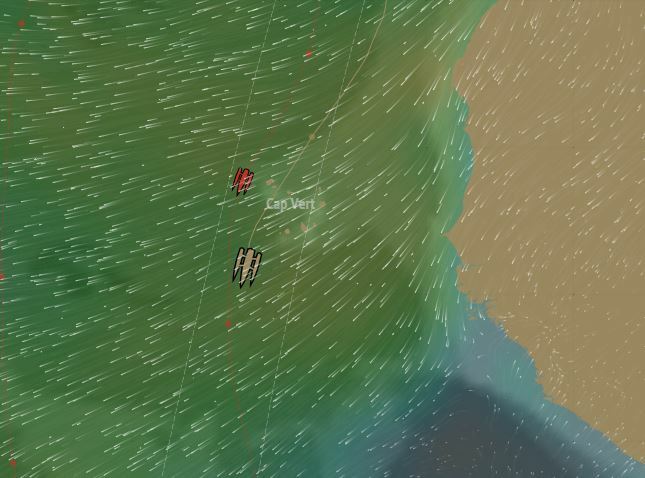 The trade winds are quite unstable. 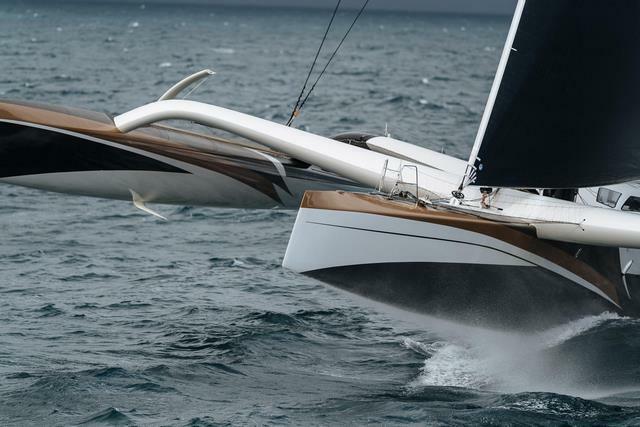 We were sailing between 18 and 28 knots, but this morning we have less wind. 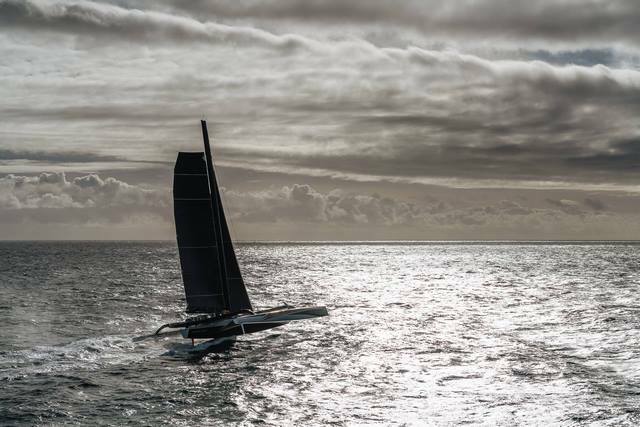 Although we are progressing well, it is a bit frustrating as the wind is very variable - at the moment it is it between 18 and 23 knots. Everyone is focused and working well. 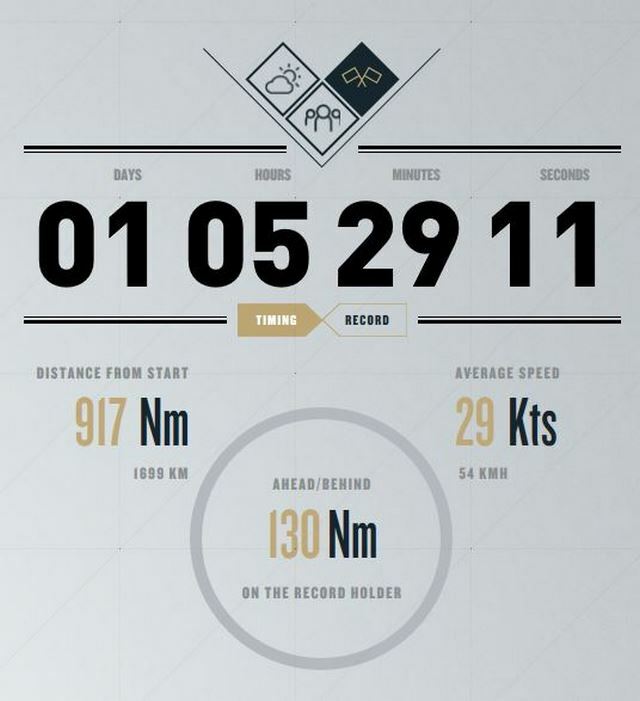 We had a good start so should arrive quite quickly at the equator. 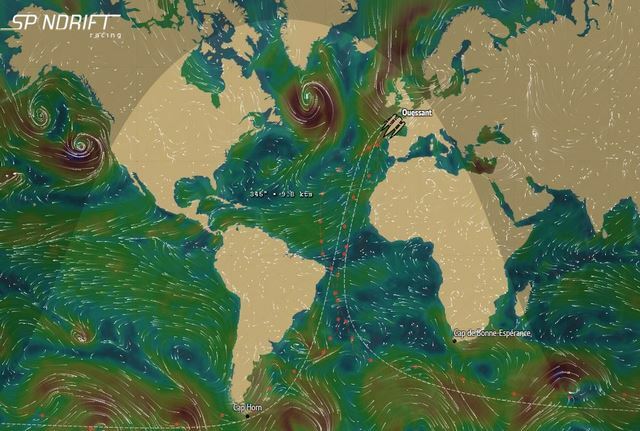 We have not really looked at the weather as we are concentrating on the Canaries, but it looks like we could have an ETA [at the equator] on the morning of the 21st. 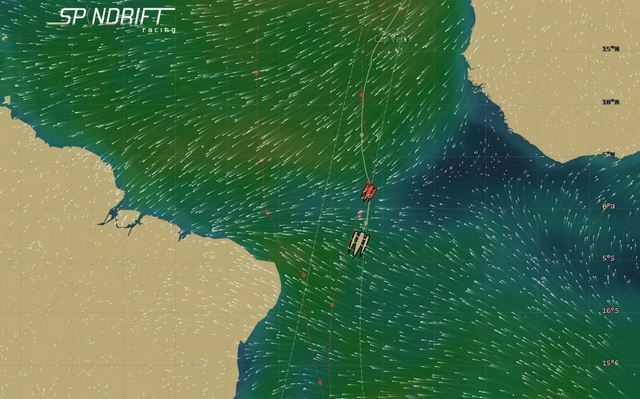 After that we have to get through the Doldrums, which although they don’t look very active, are still quite wide so we could lose a few hours. In the next 12 hours, there will be a lot of gybes to get through these islands. We will go between Tenerife and La Palma and then, a last jibe to the west of the Canaries and then it's straight on to the Doldrums. Today we have the first birthday onboard - Jackson Bouttel. 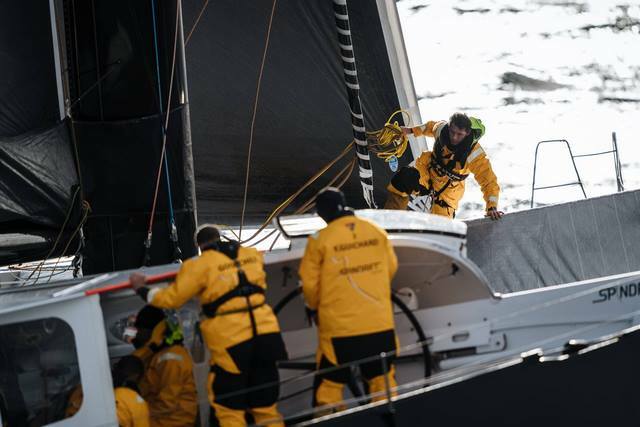 The youngsters on board are all happy! Everyone can rest when they need to. It's nice, it is starting to get hot, and when we get really into the trades, the sea will warm up too. We have some good conditions in front of us so these next three days will be great. It is hard to say if we are going to be able to beat own record at the equator. 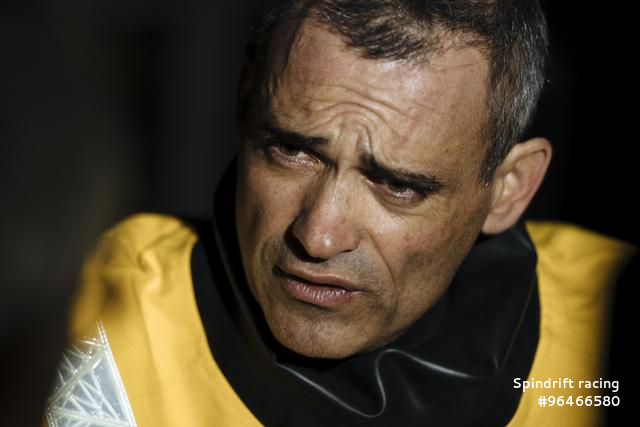 First we must get out of these islands and tomorrow we will be able to take a closer look at the weather." The weather at the moment is favourable: the Atlantic anticyclone is solid towards the south of the Azores. 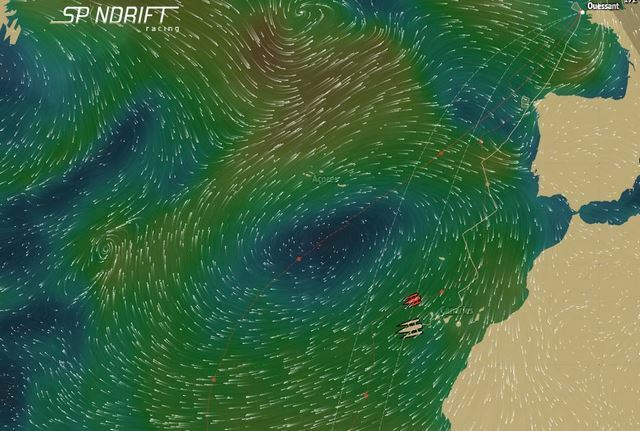 The trade winds, which are at the latitude with Madeira, are 20-25kt North-North East and should remain so for the next 2 - 3 days. This downwind element has been quite simple and has been nothing too unexpected. They had to gybe overnight around the small archipelago of the Salavagen Islands, between Madeira and the Canary Islands. 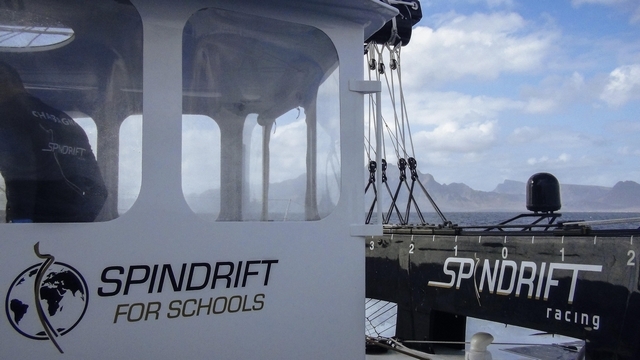 Around midday, Spindrift will cross the area of the northern Canaries, passing islands more reminiscent of holiday : Tenerife, La Palma, Gomera, Hierro. Sailors, also talk about how best to manage the lack of wind and other issues close to these high sided islands. 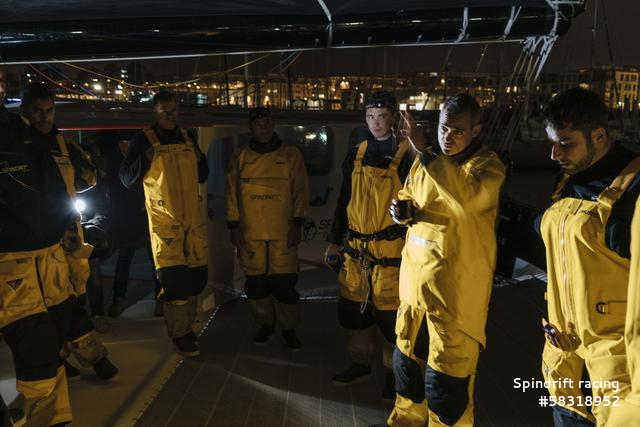 Tonight, Spindrift will jibe and then head, via the Cape Verde Islands, towards the equator in the well-established trade winds. 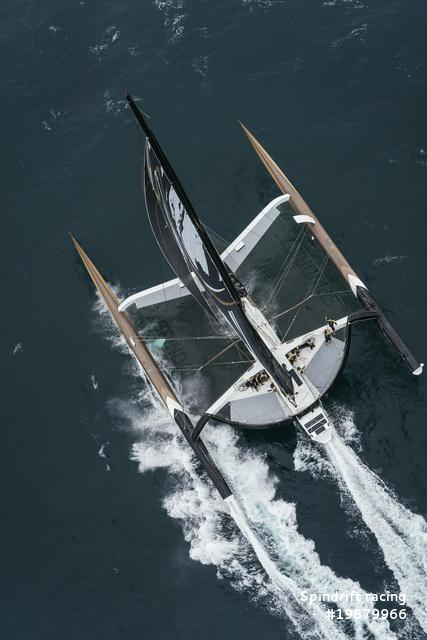 Spindrift 2 has passed Cape Vert and should cross the equator Sunday. 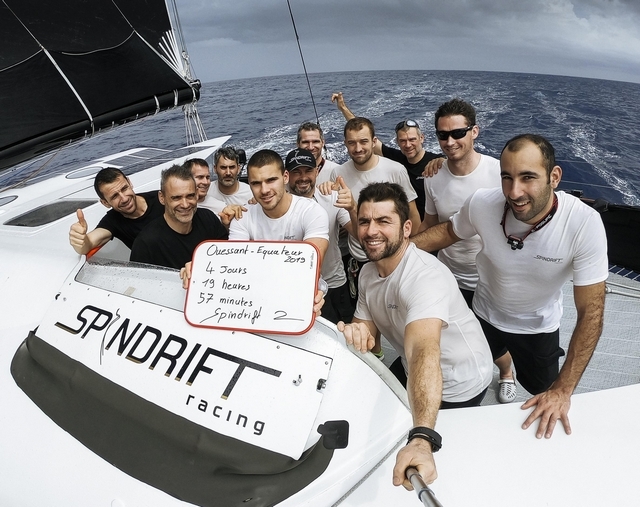 New Record For Spindrift As The Cross The Equator! 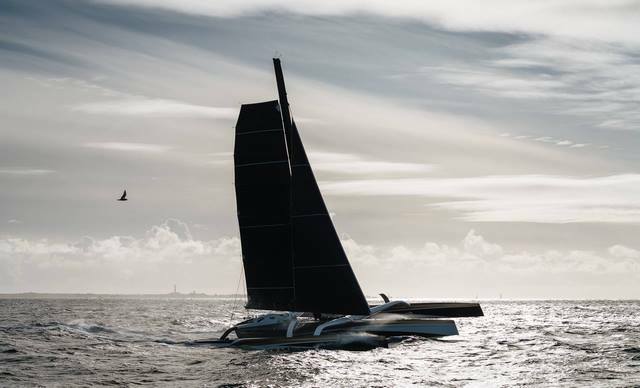 On Monday 21 January at 07h45 UTC, Spindrift 2 broke her own record by just over an hour, by crossing the Equator in 4 days 19 hours 57 minutes. 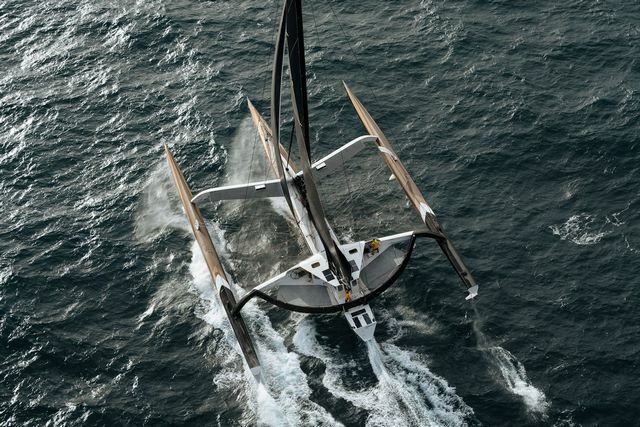 This also gave the black and gold team an advantage of more than 23 hours (180 miles) over the current holders of the Trophy Jules Verne, IDEC Sport. 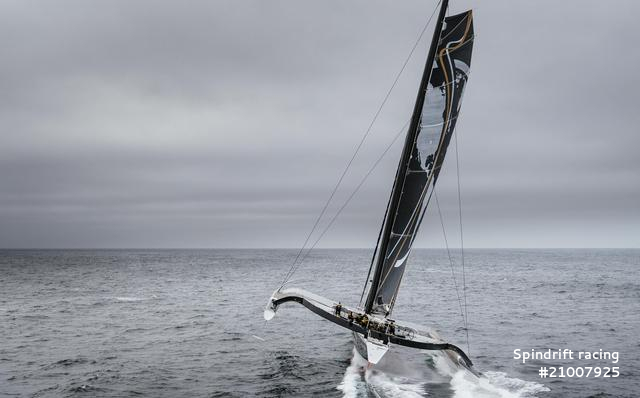 This is the first challenge in the team's quest to beat the round the world record. 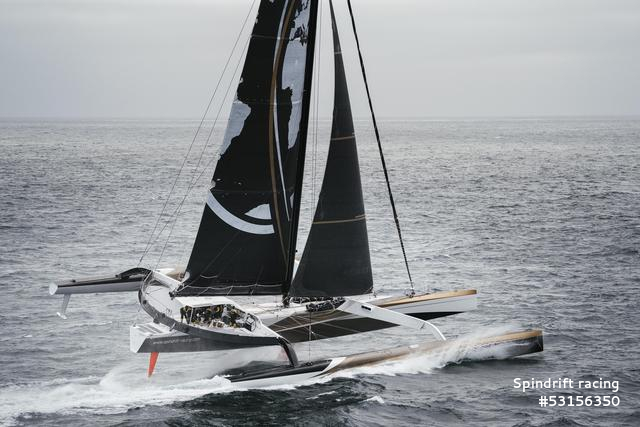 The time for the passage from Ushant to the Equator still has to be officially ratified by the WSSRC (the international organisation that oversees records), but Yann Guichard and his crew can be pleased with this first section of the course, and bettering their own record time, set in 2015 (4d 21h 45'), by 1 hour and 48 minutes. 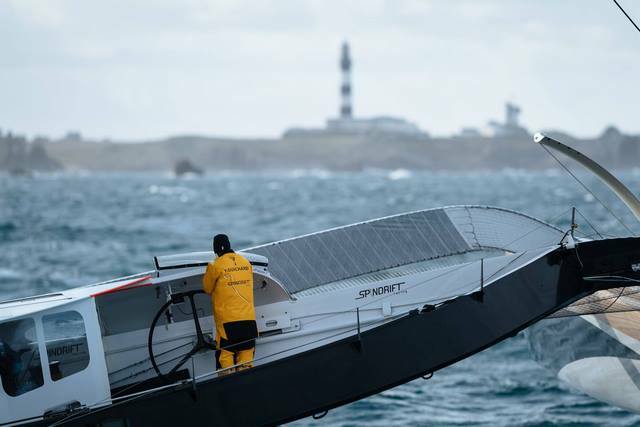 Spindrift 2 crossed the line in front of the Créac'h lighthouse on Wednesday 16 January at 11h 47 '27' UTC and quickly took advantage of the favourable conditions. 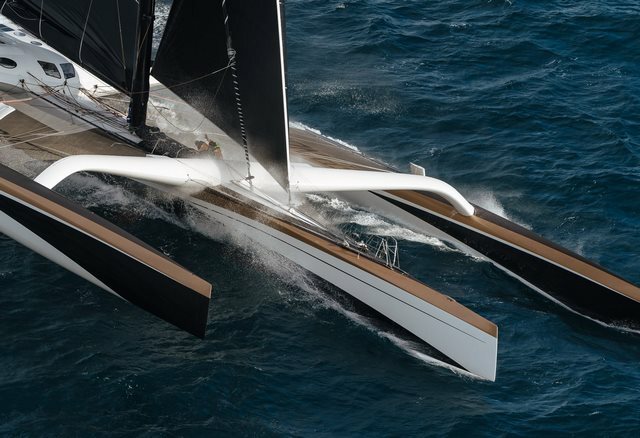 The crew had to gybe the 40m trimaran about a dozen times to ensure that they stayed in the trade winds as they passed through the Canary Islands and and the island of Hierro. 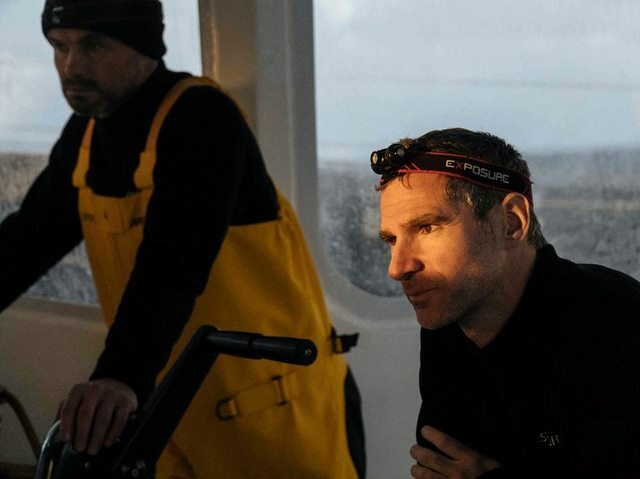 "We entered the Doldrums at 2° North: they were not very active, so we had to get through in relatively little breeze, but it was especially nice to have the full moon when we crossed the equator: we even saw the eclipse! It was beautiful for a good hour ... Everyone has really been on the pace and the modifications that we made to the coach roof have been a real bonus - we are definitely less exposed. 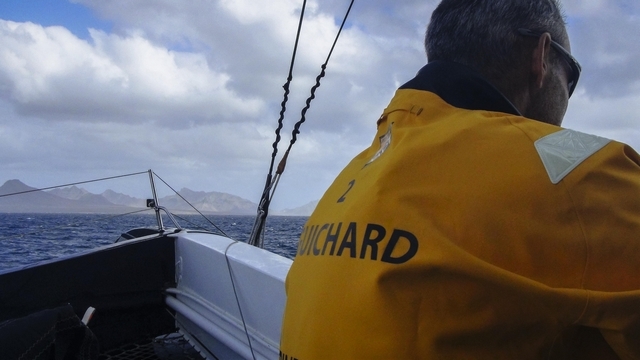 The route to the equator was not easy: we had quite lumpy seas in the lead up to the islands, then we had to gybe a lot and pass right through the Canaries and Cape Verde archipelagos." 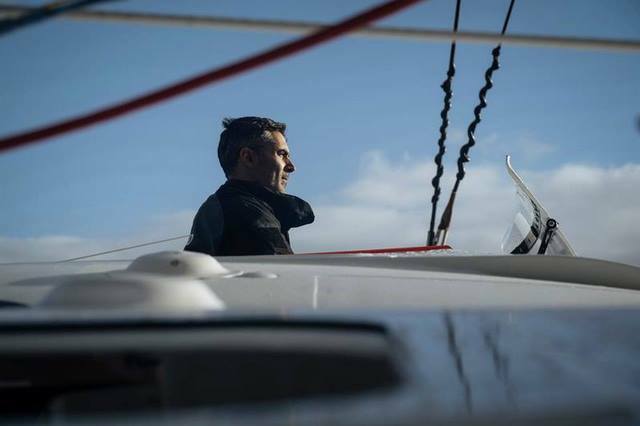 Commented Yann Guichard, a few moments after crossing the equator, the 'line' separating the north and south hemispheres. 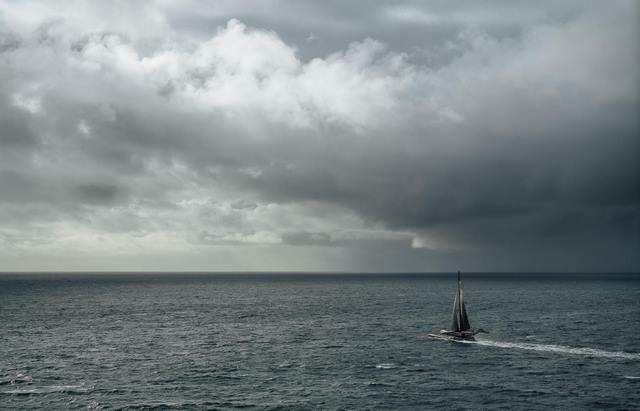 "We will leave the Doldrums at about 2° South, and then we will have to get around St. Helena anticyclone that is forming to the East, so we will have to go to about 37° South before turning left towards the Indian Ocean. 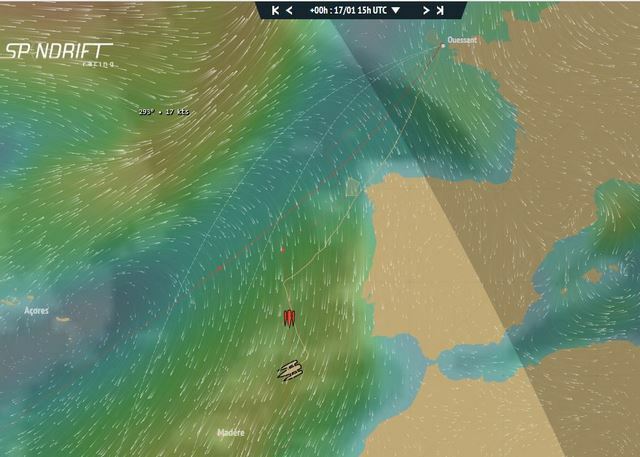 It makes the route longer, especially as we will have to cross a light weather area in three days, but we should then reach favourable NW winds. 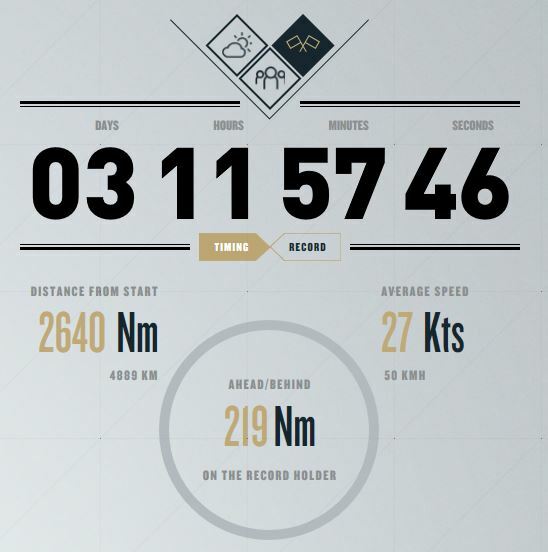 It will be a relatively slow descent ... but we should be a little ahead of Francis Joyon and his crew by the time we reach Cape Aiguilles," continued the skipper of Spindrift 2. 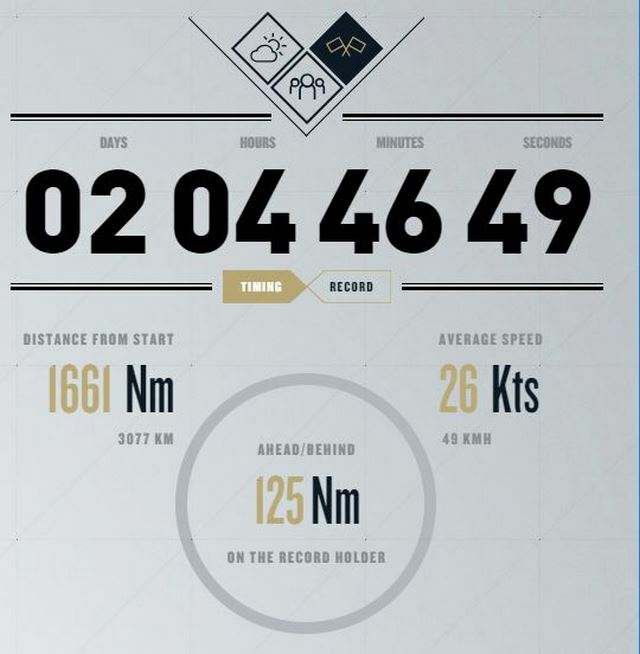 The next goal is the tip of South Africa: Francis Joyon and his crew crossed the longitude of the Cape Aiguilles after 12d 21h 22' at sea. 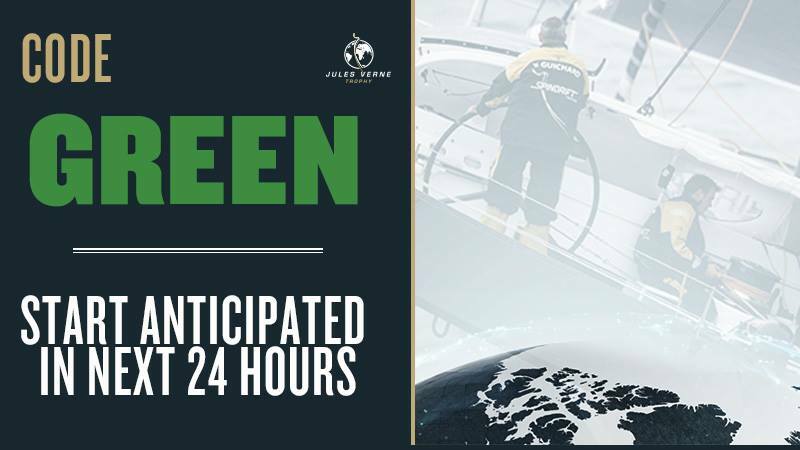 So, with a 23 hour advantage on this first stretch, Yann Guichard and his crew can hope to stay half a day ahead before entering the Indian Ocean. 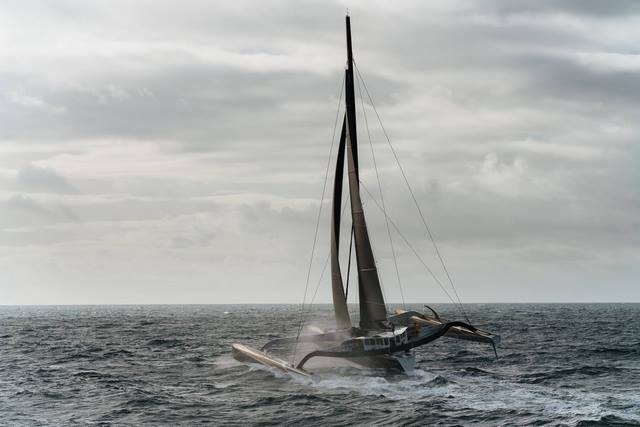 This same trimaran, when it was Banque Populaire in 2012, took less than twelve days from Ushant (11d 23h 50').